Taste buds – Why does our taste change over time and why do we reject certain foods, even babies? Our sense of taste is a chemical sense. 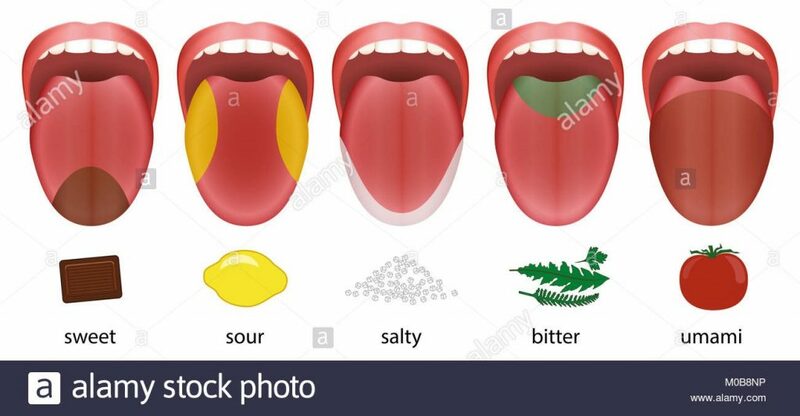 Our few primary taste buds are: sour, sweet, bitter, salty, fat and umami (meat or savoury foods. Umami is believed to arise from the taste receptors of mono-sodium glutamate, which is usually naturally present in many foods, itis higher in fermented foods, and is added to other foods as well as some crisps, and Chinese food). Any other flavours that we taste is from the combination of our primary food taste. not and therefore you cannot taste much because of the that. empowering for anyone that wants to change their diet. or mono-sodium Glutamate, such as crisps, fermented foods, etc. a negative reaction, like they are eating a Chinese meal with high added MSG. food because of the MSG that is added, it can be in your food as well! How do the taste buds work? All this via certain nerves calledcranial nerve, which include the facial nerve, the glossopharyngeal nerve andthe vagus nerve. The vagus nerve is the nerve also that is essential for yourdigestions, your relaxation and sleeping as well. If you are under stress orthe stress hormones and pathway is stimulated then the vagus nerve for thedigestion and relaxation is not working as the two cannot be on together (readon the fight and flight blog for more explanation about this by clicking here).In a way the brain says if you are fighting or running you cannot stop andtaste food! That for me makes perfect sense!). The cranial nerves take thetaste of the food that you are eating to the part of the brain calledhypothalamus, thalamus and limbic system. avoid others that they feel upsets their digestive system, since an early age. that is not good for your digestive system! to make sure that you eat what is good for you in particular! as an “Alimentary” Taste. A new Perspective on taste classification.